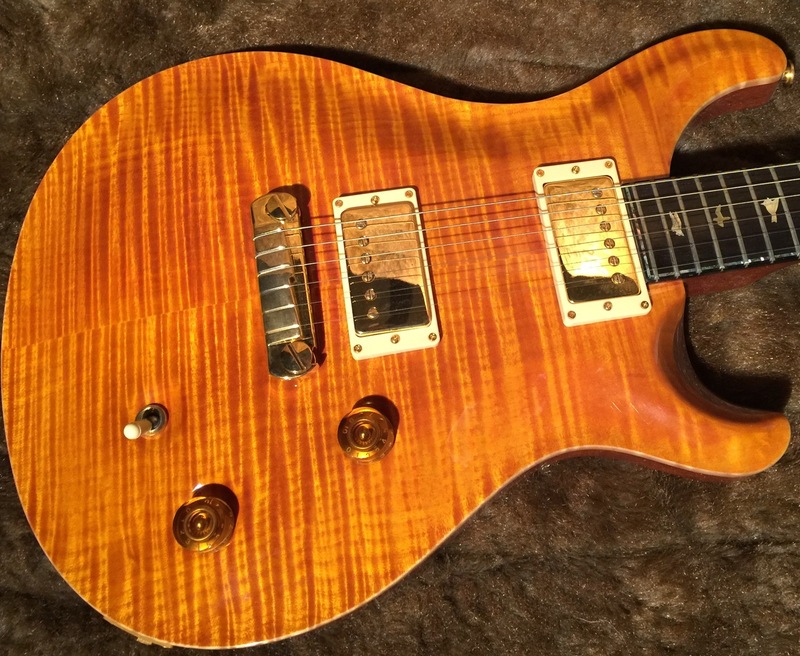 Guitar Maverick is an Authorized PRS Dealer!! 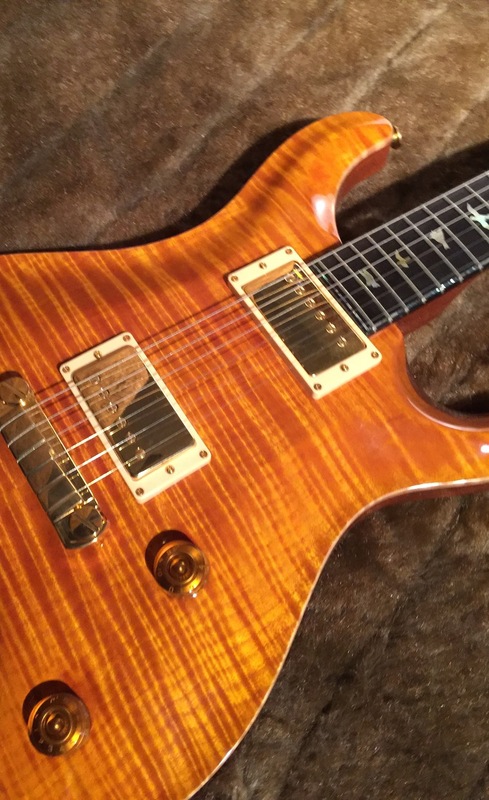 We know Rare PRS and you just found one too!! 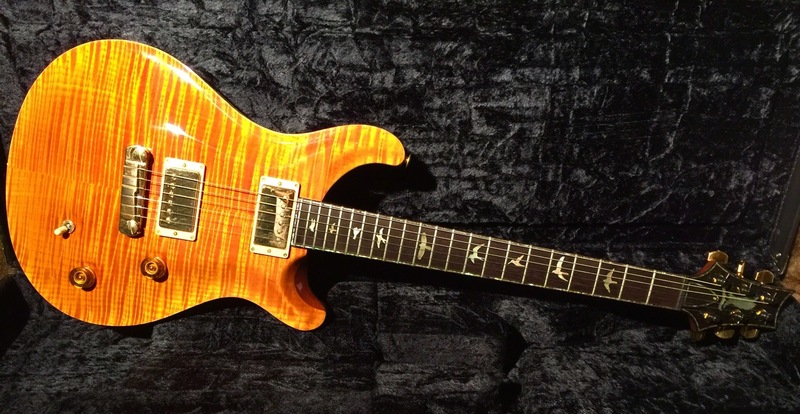 Here we have a Really Special Paul Reed Smith! The 10th Anniversary Guitar is actually an additional Artist Package released by PRS as a Celebration of 10 years of Building Guitars! 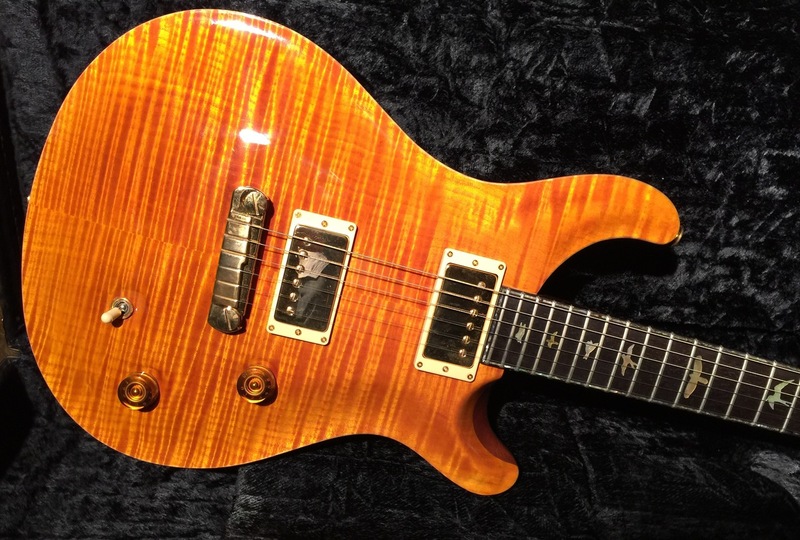 This Run is Limited to 200 instruments Produced Worldwide and here we have #55 which is the Rare and Fantastic AMBER, a Favorite of Collectors Globally! Finding Exceptional and Rare Guitars like this are getting harder everyday. 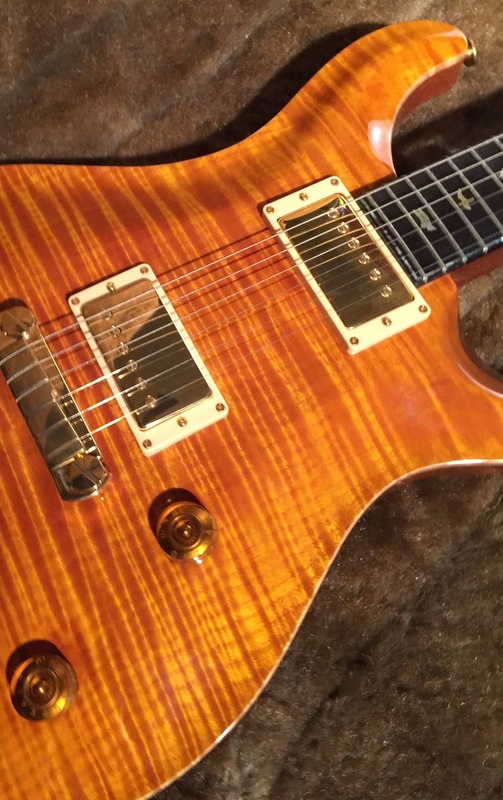 Don't hesitate on this super PRS! Artist Limited -style including a leather Case. This one is produced with wide-fat Neck Shape and Its has engraved gold abalone birds, and 22-fret ebony fretboard. Abalone bound headstock and fretboard really make this guitar a looker! The Engraved eagle on headstock with 10th Anniversary Banner is Stunning. It includes Gold plated hardware including stop tail and McCarty Electronics. and shows only the slighted wear. The Hardware does show some tarnish as the Gold is 20 YEARS old! Motivated to move this one so please send your best offer to us ASAP! 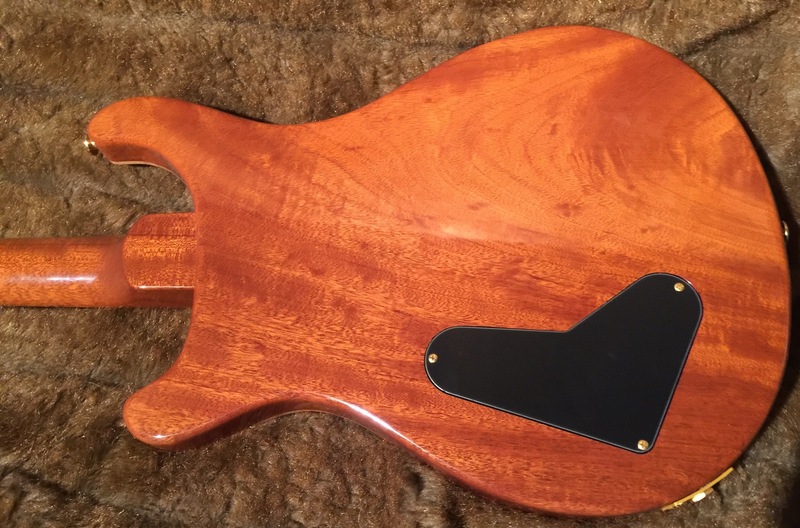 We sell our items at our PHYSICAL store and in Guitar Forums, so this auction could be ended at anytime without notice.